11 January: President Obama met Afghanistan President Hamid Karzai on 11 January to discuss the scope and size of American presence in the country after the end of 2014. 28 January: The US Department of Defence approved a fivefold expansion of its cyber-security force over the coming years in a bid to increase its ability to defend critical computer networks. The decision to expand the cyber command was made by senior Pentagon officials late last year in recognition of a growing threat in cyberspace. 1 February: The chief of US Pacific Command (PACOM) Samuel Locklear told reporters in a telephone news conference that the United States’ pivot to Asia will not mean any new bases in the region but existing alliances will be strengthened and modernised. 7 February: The US would cut its aircraft carrier presence in the Persian Gulf region from two carriers to one, the Defence Department said, in a move that represents one of the most significant effects of budget cuts on the US military presence overseas. 13 February: US President Obama announced to bring 34,000 American troops back home from war-torn Afghanistan in the next one year as he warned North Korea and Iran to meet the international obligations on their controversial nuclear programmes. 16 March: The Pentagon announced to spend $1 billion to deploy additional ballistic missile interceptors along the Pacific coast to counter the growing reach of North Korea’s weapon. US defence secretary Chuck Hagel announced to deploy new 14 interceptors in Alaska to bolster country’s missile defence system. 28 March: The US military made a rare announcement that two nuclear-capable B-2 stealth bombers ran a practice bombing sortie over South Korea underscoring Washington’s commitment to defend its ally amid rising tensions with North Korea. 4 April: The probability of a nuclear exchange between North Korea and other nations including US inched upwards as Pyongyang put out a statement that “the moment of explosion is approaching fast”, and that “U.S aggression would be smashed by…cutting-edge smaller, lighter and diversified nuclear strike.” The remarks raising tensions came shortly after the Pentagon announced that it would mobilise the ground based THAAD missile-interceptor batteries to protect its military bases in Guam. 10 April: US President Barack Obama proposed a 40% increase in American aid to Pakistan, amounting to $1.4 billion, as part of his $3.77 trillion budget that focuses on new job creation and economic growth. 8 June: President Obama and President Xi Jinping of China said they were building “a new model” of co-operative relations after 40 years of diplomatic ups and downs as they wound up a second day of talks which included discussion of a nuclear-armed North Korea, cyber-espionage, climate change, free trade and human rights. 19 June: President Obama called for a one-third cut in the number of deployed US strategic nuclear warheads if Russia agrees to a similar reduction, reviving his goal to work toward a world without atomic weapons. 1August: The US House of Representatives approved tough new sanctions on Iran’s oil sector and other industries. 30 August: Secretary Of State John Kerry said that there is clear and compelling evidence that the government of President Bashar al-Assad used poison gas against its citizens, as the Obama administration released an unclassified intelligence report on the use of Chemical weapon in Syria. 7September: The Obama administration said that the United States granted exemption from Iran sanctions to 10 European countries and Japan because all of them have significantly reduced oil imports from the Islamic Republic. 24 September: The United States and Iran are renewing direct diplomatic contact after nearly 35 years. President Barack Obama asked his Secretary of State John Kerry to hold talks with his Iranian counterpart on the side-lines of the UN General Assembly. 19 October: The Obama administration authorised the release of more than $1.6 billion in economic and military assistance to Pakistan. 23 November: US Secretary of State John Kerry and foreign ministers of five other world powers joined talks on Iran’s nuclear programme. 26 November: Two long-range American bombers flew into China’s expanded air defence zone. The Pentagon officials described it as a “routine training mission” through international air space claimed by China as its “air defence identification zone”. 30 November: US gave India, China and South Korea waiver from Iran oil sanctions. 6 December: While on a visit to China, Vice President Biden conveyed to the Chinese President Xi Jinping “deep concerns” about China’s decision to set up an Air Defence Identification Zone (ADIZ) over the disputed East China Sea. 7 December: As he wound up his regional tour to Asia, Joe Biden reiterated the fact there would be no change in US security strategy with its emphasis on a “pivot” towards Asia in recognition of China’s growing military power. He also underlined regional and global unity in the face of threats from North Korea’s nuclear weapons programme. 16 December: On his visit to Vietnam, US Secretary of State John Kerry said that the US would help Vietnam and other countries police their seas better amid territorial disputes with China. He also said that the US would provide $32.5 million to help Southeast Asian nations including Vietnam patrol “territorial waters”. 1 January: The US averted the “fiscal cliff” for the moment which is of great significance not only to the American tax-payers and beneficiaries but also to the global economy and India as well. A recession in US would have had a negative impact on Indian exports too as roughly 11 percent of India’s exports are to that country. 26 January: Indian government expressed its ‘disappointment’ over the 35 year jail term for Pakistani- American Lashkar-e-Toiba operative David Coleman Headly and said it would continue to press for extradition of both Headly and his Pakistani-Canadian accomplice Tahawwur Rana. 8 February: Top government aviation sources said that the US aviation giant Boeing has assured Air India that it will pay compensation to the national carrier for the grounding of its entire current six Boeing 787 dreamliners. 10 February: New Delhi is in discussions for another multi - billion dollar defence deal with the United States, to buy anti- tank guided missile systems worth $1.8 billion (Rs 9,900 crore) to arm its troops with the capability to destroy enemy armour. The outcome of the latest tests of the missile - a joint venture between US defence firms Raytheon and Lockheed Martin- is expected to give fresh impetus to the proposed acquisition. 15 April: US Secretary of State John Kerry has proposed a 16% cut in American aid to India, reflecting the transition from a traditional “donor recipient” relationship to a “strategic partnership” between the two countries. 9 June: The Guardian reported on 9 June that in March 2013 the NSA recorded 6.3 billion pieces of intelligence from computer networks in India, placing it fifth on the list of most extensively monitored countries. Iran topped the list with 14 billion pieces of intelligence collected from it. Pakistan was second with 13.5 billion, Jordan was third with 12.7 billion and Egypt fourth, with 7.6 billion. 22 June: The US government finally allowed Westinghouse to share confidential technical information with the Indian nuclear authorities - Department of Atomic Energy and Atomic Energy Regulatory Board - with which India would now be ready to start a technical evaluation of Westinghouse’s reactor. 24 June: The fourth Strategic Dialogue co-chaired by U.S. Secretary of State John Kerry and External Affairs Minister Salman Khurshid reviewed several issues ranging from the status of civil nuclear ties between the two countries through defence trade to education and cultural exchanges through some 30 bilateral panels. 22 July: IAF Chief and Chairman of the Chiefs of staff Committee Air Chief Marshal N.A.K Browne during his four day visit to the United States discussed ways to take forward the commercial aspects of the civil nuclear agreement between the US and India. 22 July: Vice-President Joe Biden arrived in New Delhi on 22 July on a four-day visit. In the backdrop of India’s FDI liberalisation agenda, Biden is expected to push for deeper economic engagement. Official sources said the focus would be on four key areas- economic and trade ties, energy and climate change, defence cooperation and a wide range of regional co-operation issues. 4 August: In a development that could have serious repercussions for Indian exports to the US, four influential US Senators asked the US International Trade Commission (ITC) to investigate India’s “unfair practices” in trade and foreign direct investment in agriculture, manufacturing and service sectors that discriminate against US exports and investment, and study their impact on the country’s businesses and jobs. 18 August: Three month after the U.S.-India Homeland Security Dialogue in Washington, India is all set to send its officers to various agencies across American federal organisations to sharpen their skills and acquire new ones to fight terrorism. 18 September: The United States has offered to develop the next generation aircraft technology with India, visiting Deputy Secretary of Defence Ashton Carter confirmed. 24 September: Two of the most important nerve-centres of Indian diplomacy outside the country- the Permanent Mission of India at the United Nations and the embassy in Washington DC- were targets of such sophisticated bugs implanted by the US NSA that entire computer hard disks might have been copied by the American agency. 26 September: India made the first public condemnation of U.S. electronic interception programmes during the meetings with its non-traditional allies on the side-lines of the on-going United Nations General Assembly. Along with Brazil and South Africa Foreign Minister Salman Khurshid said that snooping is a serious violation of national sovereignty and individual rights. 27 September: The joint statement issued at the end of the Singh-Obama bilateral meet on 27 September said the two countries would consider setting up a Joint Committee on Investment in Manufacturing. 27 September: Following talks between Prime Minister Manmohan Singh and US President Barack Obama, India and U.S have resolved to cut through American laws that have been inhibiting a full-fledged defence partnership between the two countries. 27 September: Five years after India and US signed a landmark civil nuclear deal, the two countries clinched the first commercial agreement on civilian nuclear power cooperation that was stalled over India’s nuclear liability law. President Obama and PM Manmohan Singh, in a joint statement, noted that commercial negotiations between the NPCIL and US company Westinghouse were proceeding. 4 December: Conceding that both India and the US were leading targets of transnational terror groups, Union Home Minister Sushilkumar Shinde on 4 December sought enhanced cooperation between the two countries to “secure our cities and our people”. He was addressing the first ever India-US police chiefs’ conference in New Delhi. 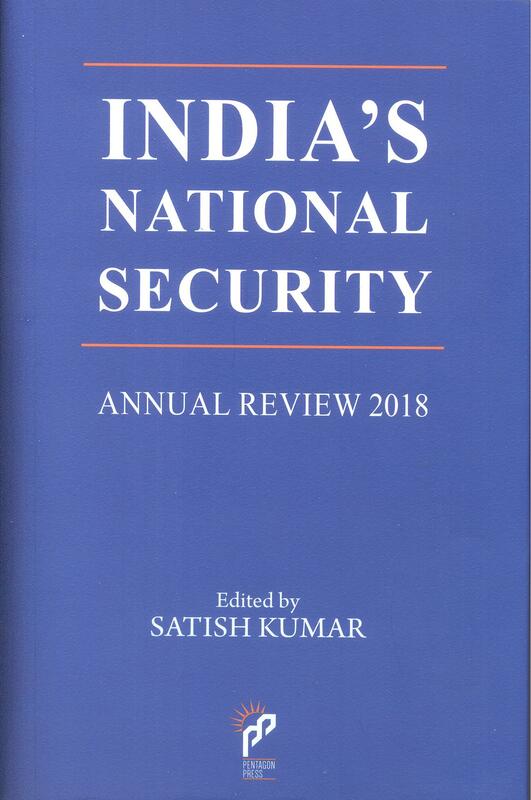 6 December: India remained deeply dissatisfied by the US response to the issue of snooping on Indian missions and surveillance by the National Security Agency. As per Edward Snowden, the NSA snooped on the Indian embassy in Washington and the permanent mission in New York. India, concerned about the US snooping, summoned the Deputy Chief of Mission of the US Embassy to South Block in the wake of revelations made by Snowden. 30 June: The German newsmagazine Der Speigel reported that US had conducted a wide ranging operation to monitor European Union diplomatic offices and computer networks. The European leaders voiced their anger over reports of spying. 4 April: Prime Minister David Cameron said that it would be “foolish” to abandon Britain’s nuclear armed submarine amid increased threat of an attack from North Korea. Cameron’s remarks were published in the Daily Telegraph hours after North Korea’s military warned that it was authorised to attack the US using nuclear weapons. 2 May:Nineteen underwater drones, some of them from UK, were sent to the Gulf as a part of a naval operation designed to deter mine-laying amid continuing tensions between the west and Iran over Tehran’s nuclear programme. Up to 40 nations took part in the three-week naval exercises. 28 August:Britain said it prepared a draft resolution authorising “all necessary measures” to protect Syrian civilians after the Ghouta chemical attack. Cameron said that the draft resolution was to be presented at the UN Security Council and was seen as a precursor to possible military strikes by Western powers. But the resolution could not garner enough support at Britain’s parliament and therefore government backed down from pursuing it further. 8 October:In order to repair damaged relations, Britain and Iran announced that each would appoint a charge d’affaires, a rank below ambassador, to work toward resuming full diplomatic ties. The move to restore relations came after British Foreign Secretary, William Hague, met Iran’s Foreign Minister, Javad Zarif, at the United Nations. President Hassan Rouhani expressed greater openness to the West as Tehran was preparing for negotiations with the UNSC on Iran’s disputed nuclear programme. 14 October:After a few months of uneasy relations with China, the British government took steps towards reconciliation, promising to relax visa rules for Chinese businesspeople and some tourists and saying that it had no plans for high-profile meetings with the exiled Tibetan spiritual leader, Dalai Lama. 26 January:The French Government said that Special Forces took control of the airport in the Islamic rebel stronghold of Gao, Mali. The French had to intervene after this place was overrun by Islamic fighters a few days back. 4 July:The newspaperLe Monde disclosed that France was involved in gathering information, data transmissions including phone calls, e-mails and social media activity. It reported that the General Directorate for External Security does the same kind of data collection as the American National Security Agency but does so without clear legal authority. 27 August: In a televised speech Hollande said it was “world’s responsibility to take action” against Syria due to its alleged use of chemicals against its civilians to curb the Syrian civil war. 22 April: Alarmed by years of cuts to military spending, the NATO Secretary General, Anders Fogh Rasmussen, issued a warning to European nations, noting that together they had slashed $45 billion, or the equivalent of Germany’s entire military budget, endangering the alliance’s viability, its mission and is relationship with the US. 20 March: A media report in India stated that the free-trade agreement between European Union and India will put an end to India’s status as the pharmacy of the developing world, providing affordable medicines, especially HIV drugs, to countries like Brazil, Thailand, South Africa, Zimbabwe and several others. The provisions show that the FTA would force intellectual property (IP) rights enforcement and would severely affect the functioning of India’s generic medicine industry. 10 November: The 11th Asia Europe Meeting (ASEM) was held in New Delhi between 11-12 November and was attended by 49 countries. This was the first time India hosted a major ASEM meeting since it joined in 2007. 7 January: India has been named as among the top five countries for illegal migration to the UK. Nigeria, Pakistan, China and Bangladesh are the other countries named by the UK Home Office as the hub of illegal migration. 18 February: British Prime Minister David Cameroon visited India on 18 February on a three day trip to discuss the issues on revitalising India-British relationship at the strategic level. These included the dispute over transnational telecom operator Vodafone, settlement over combat fighter tender, and the details over the VVIP chopper deal with an Anglo-Italian conglomerate. 19 February:Mr Cameroon, while noting that the two countries “are on track to meet our bilateral trade to ₤ 23 billion by 2015”, added that Britain wants to open more trade offices in India and hopes to create a pan-Indian network of British business centres by 2017. 20 February: India and the United Kingdom signed two MoUs to promote development of community colleges and implementation of school leadership programme. The MoUs were signed on behalf of India by Minister of State, HRD, Jitin Prasada and for the UK by David Willets, Minister for Universities and Science. 14 May: Britain launched a new “super priority” same-day visa service for urgent travellers from India, the first-of-its kind service to be launched by the UK anywhere in the world. 24 June: The UK Home Office announced a new visa scheme under which most visitors from six high-risk Afro-Asian countries including India, Pakistan and Nigeria will be required to furnish a ₤3,000 bond for a six month visit visa, which they will forfeit if they overstay in Britain. 25 June: Union Commerce and Industries Minister Anand Sharma, on a three-day visit to Britain from 23-25 June, raised the controversial issue of immigration bond with business secretary Vince Cable and UK Minister for Government Policy in Cabinet Office, Oliver Letwin. Mr. Sharma urged the UK government to issue “a formal clarification” on the issue. 14 February: French President Francois Hollande visited India on 14-15 February. The two sides inked a host of pacts and numerous agreements which included cooperation in the field of education and science to bolster research, technology and innovation between their universities, institutions and business. The two sides launched the “Raman-Charpak Fellowship” to enable the exchange of doctoral students. 15 February: France, which was playing a key role in talks being held between the P5+1 countries and Iran over the latter’s nuclear programme, asked India to convince its “close friend” to enter into serious negotiations and honour its international obligations vis-à-vis nuclear non-proliferation. 17 February: India and France have moved towards greater naval cooperation, to combat sea piracy. The Scorpene project, under which the manufacture of submarine has been sub-contracted to India, and Dassault’s Rafale fighters for the Indian Air Force, include significant transfers of technology. 4 April: The government’s negotiations with France’s Dassault on the $20 billion deal to buy 126 medium multi-role combat aircraft were stalled after the French aviation firm stated that it would not be responsible for the 108 aircraft to be produced by Hindustan Aeronautical Ltd. (HAL). 4 July: France announced a slew of India-specific measures easing visa norms for those wanting to pursue higher education in France, a move that would increase the inflow of Indian students to that country. 20 February: The ‘German Year in India’ celebrated in 2011-12 came to an end with official celebrations on 21 February 2013. It witnessed events across the fields of business, education, science, culture and politics since September 2011. 11 April: Germany urged India to raise the foreign equity cap in the insurance sector and reduce tariffs on automobile imports as a prelude to the long awaited India-EU FTA during PM Manmohan Singh’s three day visit to Germany. 20 October: German Defence firm Atlas Elektronik, a leading manufacturer of hi-tech maritime and naval systems, is in the process of finalising a deal with India for supplying low frequency sonar systems for navy’s warships that would help them detect enemy submarines, warships and torpedoes from a long distance. 19 November: The Indira Gandhi Memorial Trust on 19 November announced that German Chancellor Angela Merkel will be honoured with the Indira Gandhi Prize for Peace, Disarmament and Development for 2013 for her exemplary leadership in Europe and the world during the financial crisis and her stewardship of German economic growth. 3 October: President Pranab Mukherjee visited Belgium on 3 October and urged Prime Minister Elio Di Rupo to deepen the already strong economic engagement between the two countries in critical infrastructure, nuclear energy, information technology and higher education. The total two-way trade, dominated by diamonds, stands at 12 billion euros. 26 June: Russian media reported evacuation of its personnel from Syria, including from its Mediterranean naval base in Tartus. 5 July: Russia and China kicked off their largest-ever Joint naval drills in the Sea of Japan. The drills covered anti-submarine warfare, close manoeuvring and the simulate takeover of an enemy ship. 16 July:Russian military held largest military exercises since the Soviet times. This military drill involved 160,000 military personnel, around 1,000 tanks and armoured vehicles, 130 aircraft and 70 naval ships. 29 August: As fears of imminent strike on Syria increased after the August chemical attack, Russia announced its plans to increase its naval presence in the Mediterranean Sea much to the disappointment of US, Britain and France. 3 September: In an interview with Associated Press and Russia’s state Channel 1 television, Putin warned the US against launching military action in Syria, stating that Russia had “plans” on how it would react if such a scenario unfolded. 9 September:For the first time Russian Foreign Minister Lavrov announced that Moscow would push Syria to place its chemical weapons under international control. He added that such a move would help avert a possible US strike on Syria and Russia would start work ‘immediately’ to persuade Syria to relinquish control over its chemical arsenals. 26 September: A massive joint military exercise named West 2013 was conducted in western Belarus and in Russia’s westernmost Kaliningrad region. It involved more than 22,000 troops, 500 armored vehicles and about 90 aircraft along with ships of Russia’s Black Sea Fleet. 12 December:In his State of the Nation speech President Putin said that conventional weapons systems designed to disarm a country’s nuclear capability could have “extremely negative consequences” for global security. He seemed to be referring in part to the US’s planned Prompt Global Strike system, which is designed to be capable of hitting a target anywhere in the world with a precision conventional weapon that could disarm a country’s nuclear capability. 23 December: Russian Defence Minister, Sergei K. Shoigu said that 50 trucks and 25 armoured vehicles had been delivered to the Syrian port of Latakia to help with the removal of the country’s chemical weapons stockpile. 21 June: The 4th India-Russia Business Dialoguewas co-chaired by Commerce and Industry Minister Anand Sharma and Minister of Industry & Trade of the Russian Federation Denis Manturov. Both the Ministers expressed satisfaction in the progress of bilateral trade and economic relations. 21 June: On the sidelines of St. Petersburg International Economic Forum 2013, Anand Sharma, Minister for Commerce and Industry, and Viktor Khristenko, Chairman, Eurasian Economic Commission discussed the issue of a Comprehensive Economic Cooperation Agreement (CECA) between India and the Customs Union of Belarus, Kazakhstan and the Russian Federation. 29 June: India and Russia failed to resolve the problem of nuclear liability during a visit to St Petersburg of Atomic Energy Commission Chairman R.K. Sinha. Russian sources said that there was no progress on the issue, which has stalled signing of contract for construction of Units 3 and 4 at the Kudankulum nuclear power project. 15August: Russia will send its experts to India to help investigate the accident which wrecked the Russian-built INS Sindhurakshak. 21 September:During the 7th India-Russian Forum on Trade and Investment, Commerce and Industry Minister, Anand Sharma and Deputy Prime Minister of Russia Dmitry Rogozin, agreed on collaboration to jointly develop and manufacture civilian aircraft and helicopters, especially for emergency relief and medical purposes. The priority was also given to investment projects for enhancing Indo-Russian Economic and Investment Cooperation. 4 October: Addressing the media after the 19th session of the Indo-Russian Intergovernmental Commission, External Affairs Minister Salman Khurshid said the two sides are closer to clearing the nuclear liability hurdle to a contract for supply of Russian reactors for Units 3 and 4 of the Kudankulam Nuclear Power Project. 20October:India is all set to acquire a second nuclear powered submarine on lease from Russia, at a cost of about $1.5 billion, to bolster its aging underwater combat arm. 21 October: India and Russia agreed to extend indefinitely their 15-year-old partnership for producing the BrahMos supersonic anti-ship missile and to develop a still more potent hypersonic version of the missile. India and Russia also agreed to enhance cooperation in space technologies during the 14th Indo-Russian summit. 21 October:The joint statement the two sides put out after the Indo-Russian summit, said the two sides “agreed to expeditiously finalise” the General Framework Agreement and the Techno-Commerical Offer for Units 3 and 4 of Kudankulum Reactor. Both are also working on increasing ONGC Videsh Limited’s involvement in oil and gas exploration in Russia. To give economic ties a boost, India also sought Russian support for concluding a Free Trade Agreement with the Customs Union of Russia, Kazakhstan and Belarus. 21 October:Russia and India declared “no tolerance for sheltering, arming, training or financing of terrorists.” The two sides condemned terrorist acts as “attacks on the freedom and democratic values” and “aimed at undermining the territorial integrity” of India and Russia. 22 October: The two nations joined their forces together for the first ever battalion level joint exercise. Both countries were engaged in anti-terror operations. 16 November: Russian built INS Vikramaditya was inducted into the Indian Navy by Defence Minister A.K. Antony. 18 November: During the 13th Inter-Governmental Commission on Military Technical Cooperation (IRIGC-MTC)session between the two sides in Moscow, the two countries decided to extend their strategic partnership and to have the first exercise between their air forces next year. 9 December:India and Russia decided to collaborate in reviving arms maintenance factory in Afghanistan, as the country gets ready for the security transition in 2014 in the wake of US-led coalition’s troop withdrawal. 7 January:Japan’s government under new Prime Minister Shinzo Abe announced a review of national military strategy. Abe ordered his government to replace the nation’s five-year military spending plan and to review defence guidelines adopted in 2010. 10 January: The foreign ministers of Japan and the Philippines proclaimed their nations to be strategic partners who would collaborate in resolving their separate territorial disputes with China. 5 February:Japan lodged a formal protest with the Chinese government after it said that a Chinese warship directed a radar used to aim missiles at a Japanese warship. 16 February: In an interview with The Washington Post, Shinzo Abe stated that China has a “deeply ingrained” need to spar with Japan and other Asian neighbours over territory. Abe also laid out his plans for deterrence, which include boosting military spending and strengthening ties with Thailand, Vietnam, Indonesia and other nations that share concerns about Beijing. 9 July: Japan released its Annual Defence Paper in which it emphasised on the rising security threats due to a potential military confrontation with China and North Korea. 26 July: The Defence Ministry of Japan released an interim report which stated that Japan was considering an overhaul of Japanese defence strategy. It stated that Japan was considering the acquisition of offensive weapons and surveillance drones to assume a more active role in regional security. The report also called for deepening cooperation with the US. 6 August:Japan unveiled its biggest warship named the “Izumo”. Japanese officials said that it will be used in national defence, particularly in anti-submarine warfare and border-area surveillance missions. 8 August: The Japanese Foreign Ministry lodged a protest with China’s ambassador after three Chinese paramilitary ships stayed in waters around the disputed islands for a long time. 6 November:Japan’s Ground Self-Defence Force deployed surface-to-ship missiles on Okinawa’s Miyako Island. Type 88 missiles were deployed on the island. 24 November: Japan’s Foreign Minister refused to recognise China’s newly claimed air defence zone over disputed islands. China had announced its defence zone on 23 November 2013. 30 November: Japan submitted a proposal to the International Civil Aviation Organisation asking to examine whether China’s claims to airspace over East China Sea could threaten the order and safety of international aviation in the area. 17 December:Prime Minister Abe approved a new five-year defence plan that called for acquisition of drones and amphibious assault vehicles to strengthen the nation’s military. The new security strategy called for Japan to continue to build security ties with other Asian nations. The strategy also called to study whether it should buy or develop long-range strike capability missiles. 29 January: India and Japan held their first ever maritime dialogue in New Delhi. 26 March: During the 7th Annual India-Japan Strategic Dialogue held in Tokyo,India assured Japan that it “stands” by it to ensure freedom of navigation on the high seas, an assurance that comes in the backdrop of increasing conflicts in the Pacific involving China. 28 May: In an address to the Japan-India Association, the Japan-India Parliamentary Friendship League and the International Friendship Exchange Council, Dr. Manmohan Singh spoke of Japan in glowing terms as a role model of economic growth and of the high stakes of the world in reinvigorating the Japanese economy. 29 May: Prime Minister Manmohan Singh and his Japanese counterpart Shinzo Abe instructed the authorities concerned to accelerate the work on the Master Plan for development of the Chennai-Bangalore Industrial Corridor by fiscal year 2014. 29 May: Prime Minister Manmohan Singh and Prime Minister Shinzo Abe inked a joint statement directing officials of their countries to “accelerate” the negotiations of an Agreement for Cooperation in the Peaceful Uses of Nuclear Energy. 3 September:India held its first post-Fukushima talks on civil nuclear accord with Japan in New Delhi, with both sides deciding to intensify negotiations to reach an early settlement. 7 September:India and Japan decided to expand bilateral currency swap. The decision was taken during a meeting between Prime Minister Manmohan Singh and Japanese Deputy Prime Minister Taro Aso on the side-lines of the G20 Summit in St. Petersburg. 14 September: Commerce and Industry Minister Anand Sharma said after his meeting with the visiting Japanese Minister of Economy, Trade and Industry Toshimitsu Motegi, thatthe Japanese side had offered to look at the possibility of setting up a Japanese Electronics Manufacturing Township (JEMT) in India. The township would help India reduce imports of electronic goods and contain trade deficit. 12 September: Japan said that several outstanding issues need to be resolved before it finalised a civil nuclear deal with India. This was stated by the Japanese Minister for Economy, Trade and Industry Toshimitsu Motegi after the 7th India-Japan Energy Dialogue in New Delhi. 12 November: In a meeting between External Affairs Minister Salman Khurshid and Japanese Foreign Minister Fumio Kishida, the two sides signed a Japanese Overseas Development Assistance (ODA) agreement. 15 November: The 5th meeting of the India-Japan-United States trilateral dialogue held in Tokyo witnessed active discussions concerning various issues such as maritime security and regional situation. 1December:Japan sought to put across the message that Emperor Akihito’s visit had the singular aim of improving bilateral ties with India rather than trying to counter China with whom it has sovereignty issues over a chain of islands in East China Sea. 19 December: Indian and Japanese navy ships conducted their joint exercises in Indian waters as the countries took steps to tighten military ties at a time when both are facing territorial disputes with China. 29 January: China announced deep-water naval exercise amid tensions with Japan over disputed islands in the East China Sea. 5 March: According to reports put forward by the outgoing Premier Wen Jiabao at an annual parliamentary meeting, China’s military spending would grow by 10.7 percent in the year 2013. 17 March: China warned US that missile defence programme against North Korea would only intensify antagonism in the region (The Guardian, 18 March 2013). 18 March: According to 2013 SIPRI report China overtook Britain as the world’s fifth largest arms exporter. The report said that Chinese weapons exports rose by 162 percent in the five years 2008-2012, compared to the previous five-year period. 21 March:President Xi Jinping of China arrived in Russia to promote deeper economic and military cooperation with Russia. 15 April: China in its annual White Paper accused US of increasing tensions in the Asia-Pacific region by ramping up its military presence and alliances in the region. The White Paper also added that the US strategy meant “profound changes” in the region. 20 June:On the sidelines of the International Economic Summit in St. Petersburg, Chinese Vice Premier Zhang Gaoli and Russian President Vladimir Putin agreed that their countries would work together to maximise the potential for bilateral economic cooperation. 10 July: Annual strategic talks between China and US began. The talks were affected due to differences between the countries on the issue of cyber-theft. 10 July:China and Russia held joint naval exercises in the Sea of Japan in a display of unity between the two countries. The Commander of the Chinese fleet told reporters that the goal was to strengthen “strategic trust” and improve coordination between the two navies. 3 October: On the sidelines of a summit of Association of Southeast Asian Nations (ASEAN) Chinese President Xi Jinping met with Indonesian Vice President Boediono in Jakarta to discuss bilateral ties. Xi urged both the countries to frequently exchange views on the economic situation of the world and the Asia-Pacific region and jointly push forward cooperation between China and the ASEAN nations. 3 October: President Jinping met Malayasian Prime Minister Najib Razak to discuss bilateral ties and further development of China’s relations with the Association of Southeast Asian Nations (ASEAN). 7 October: During talks with his South Korean counterpart President Jinping announced that China would stick to denuclearisation of the Korean peninsula and all the problems relating to this issue should be resolved through dialogue and consultation. He also urged China and South Korea to actively push forward negotiations on a bilateral free trade agreement. 13 October: Chinese Premier Keqiang and his Vietnamese counterpart, Nguyen Tan Dug agreed to further deepen the partnership between both the countries simultaneously along three tracks of maritime, onshore and financial cooperation. 23 November: China’s Ministry of National Defence announced the creation of new Air Defence Identification Zone (ADIZ) in East China Sea amid dispute with Japan and said that when unidentified planes enter the zone, they would be required to identify themselves. The eight uninhabited islands at the center of the dispute fall within China’s new aerial zone. 27 November: The newly created ADIZ by China led the US to send two warplanes into the zone as an indication of its commitment to maintaining stability in the Asia-Pacific region. 28 November: China sent fighter jets on the first patrols of its new air defence zone over the disputed islands in the East China Sea. 4 December:US Vice President Joe Biden visited China amid rising tension in East Asia, triggered by competing territorial claims by China and Japan. President Xi told Mr. Biden that strengthening dialogue and cooperation is the “correct choice” for China and the US and both sides should respect each other’s core interests and major concerns, actively expand practical cooperation and properly handle sensitive issues and differences. 5 December: President Xi held talks with Ukrainian President Viktor Yanukovych in Beijing. Xi put forward four proposals on furthering bilateral ties, including increasing high-level exchanges and strategic mutual trust, pragmatic cooperation, cultural exchanges and collaboration in international and regional affairs. 11 January:Boundary dispute and ways to boost bilateral ties were among the issues which figured during discussions between National Security Advisor Shivshankar Menon and China’s chief negotiator Dai Bingguo in New Delhi. 23 January:China has given the go-ahead for the construction of three new hydropower dams on the middle reaches of the Brahmaputra River, ending the two year halt in approving the new projects on the river amid concerns from India and environmental groups. 3 February: Signalling its intent to press ahead with plans to strengthen offensive military capabilities, the Defence Ministry has cleared setting up of a mountain strike corps along the China border. The new strike force is expected to come up in Panagarh, West Bengal. 22 March:Visiting Deputy Chief of General Staff of the Chinese People’s Liberation Army, Lt Gen Qi Jianguo, met Defence Minister A.K. Antony and Defence Secretary S.K. Sharma to fine tune the steps forward towards joint military exercises. 27 March:Prime Minister Manmohan Singh met China’s President Xi Jinping on the sidelines of BRICS Summit. PresidentXi Jinping made a pitch for India and China to boost military contacts and deepen trust, state media quoted him saying during his meeting with Prime Minister in Durban. 11 April:The sixth dialogue on Counter-Terrorism between India and China assumed particular importance in the wake of increasing concerns in both countries over the security situation in Afghanistan following the NATO withdrawal in 2014. 15 April:Chinese troops came 10 km into Indian territory in the Daulat Beg Oldi (DBO) sector of eastern Ladakh and erected a tented post there, setting the stage for a face-off with Indian troops. On April 15 a contingent of around 50 men of China’s People’s Liberation Army reached Burthe in the DBO sector. 18 April:India and China held their first dialogue on Afghanistan in Beijing, agreeing to more closely coordinate their positions in the lead up to the 2014 withdrawal of NATO forces. 26 April:Indian Military delegation concluded a three- day visit to China to coordinate the dates and arrangements for the first joint military exercise in five years, scheduled to be held in China later in the year. The delegation was led by Brigadier Y.K. Joshi. 5 May:India and China ended their three-week stand-off in the Daulat Beg Oldi sector in eastern Ladakh. Commanders from both sides ordered their troops to dismantle their tents. 19 May:On Premier Li’s first visit to India, Prime Minister Manmohan Singh discussed with him issues ranging from the recent border tensions to the trans-border river suggesting an extended dialogue on water and the growing trade deficit in favour of China. 20 May:On Premier Li’s visit various memorandums of understandings were signed in New Delhi between India and China so as to deal with the growing trade deficit and the trans-border river water sharing. 8 June:China for the first time attempted to spell out its strategy- and plans- to secure its interests in the Indian Ocean in its first “blue book” on the region. The blue book makes the case for China to deepen its economic engagements with Indian Ocean Region’s littoral states. 28 June:The Special Representatives on Boundary Issues from India and China held the 16th round of talks on the boundary question and discussed putting in place additional confidence building measures and strengthening mechanisms for communication along the border. 5 July:Defence Minister A.K. Antony and his counter-part, PLA’s General Chang Wanquan agreed to boost exchanges between the two militaries, including expanded professional contact between the Air forces and Navies, as they look to address the prevailing strategic mistrust. They also firmed up plans for the first joint military exercise since 2008. 14 August:India and China discussed counter-terrorism and energy security-related issues in Central Asia in the first ever bilateral talks on the region held in Beijing. 20 August: Economic ties and the recent spate of Chinese incursions in Ladakh dominated the India-China Strategic Dialogue held between Foreign Secretary Sujatha Singh and visiting Vice foreign minister of China. 23 October:The two countries signed a new Border Defence Cooperation Agreement aimed at strengthening existing instruments to ensure "peace, stability and predictability" along the Line of Actual Control. 24 October:In a speech at the Communist Party of China (CPC) Central Committee’s Party School in Beijing, Prime Minister Manmohan Singh outlined a vision for India’s ties with China, detailing “seven practical principles of engagement” that emphasised greater sensitivity to core issues. 5 November:India and China began a 10-day joint military drill on counter-terrorism — the first such exercise between the neighbours in five years — in south-western China, with around 300 soldiers from both countries taking part in exercises aimed at boosting trust between the militaries. 10 November: During the 12th Russia-India-China (RIC) trilateral meetingChina expressed strong support for “counter-terrorism” cooperation with India days after a terrorist attack at the historic Tiananmen Square. 13 December:India’s trade deficit with China after 11 months of this year has reached a record $29.5 billion. India’s exports to China reached only $14.87 billion out of total bilateral trade of $59.24 billion, according to the data released by China’s General Administration of Customs. The trade between the two countries was down by 2.7% year-on-year, even as China’s overall global trade rose by 7.7%. 19 December: India and China took the first step towards pushing forward an ambitious corridor linking the two countries with Bangladesh and Myanmar, as representatives from the four nations held the first ever official-level discussions about the project. 8 February: Pakistan agreed to give a formal role to Afghan High Peace Council in the release of the remaining Taliban detainees. The authorities would consult High Peace Council through new coordination mechanism before setting more Taliban prisoners free. 9 February:Interior Minister Rehman Malik asked the TTP to nominate their ‘real’ representative for the talks if they were serious about holding negotiations with the government. 11 February:Pakistan successfully carried out a test-fire of its nuclear-capable and short-range ballistic missile Hatf IX (Nasr). 15 February:Pakistan successfully test fired the short range surface to surface ballistic missile Hatf II (Abdali), as part of the process of validation of land based ballistic missile systems. 25 February:The government introduced a stronger anti-terrorism bill in the National Assembly with bars on reviving banned groups under new names and on court bails for offences punishable with death or more than 10 years in prison. 7 March:Pakistan began naval drills in the Arabian Sea with US, China and other countries, the Pakistani navy said, in a show of strength against terrorism and piracy. The AMAN-13 exercises involved ships from 13 countries and observers from 20. 8 March:The National Assembly passed a key anti-terror law that seeks to establish a National Counter Terrorism Authority as a focal institution to integrate the country’s effort against terrorism and extremism. 17 March:The international air exercise ‘Indus Viper-II’ conducted between the air forces of Pakistan and Turkey concluded at an operational base of Pakistan Air Force. 17 April: Pakistan hiked its defence budget for fiscal year 2013-14 by nearly 15 percent to INR 627 billion. 24 April:Afghan President Hamid Karzai, Army Chief Gen. Ashfaq Parvez Kayani and Foreign Secretary Jalil Abbas Jilani held “productive” talks on easing tensions between their countries, US Secretary of State John Kerry, who hosted the meeting, said. 3 June: The Pakistani Army started war games codenamed ‘Azm-i-Nau (New Resolve) IV’ to update its readiness strategy for dealing with the complex security threat environment. 4 July: The International Monetary Fund and Pakistan reached a provisional agreement on a $5.3 billion bailout that aimed to bolster Pakistan’s flagging economy and its perilously low foreign exchange reserves. 5 July: Pakistan and China signed 8 pacts, including Pak-China Economic Corridor following a meeting between Chinese Premier Li Keqiang and Prime Minister Sharif in Beijing. 7 July:The Abbottabad Commission concluded that Osama Bin Laden’s nine-year long stay in Pakistan and May 2011 secret US raid, in which he was killed, were because of “gross incompetence” of the state institutions, but was particularly critical of ISI for being too casual in first tracking him and then investigating 2 May denouement. 28 August: Foreign Secretary Jalil Abbas Jilani visited Moscow for the first strategic dialogue between Russia and Pakistan. The dialogue covered a wide range of issues including discussions on economic, political and defence cooperation. 21 September:The government freed senior Taliban commander Mullah Abdul Ghani Baradar to help revive the faltering Afghan reconciliation process. Baradar is the 34th Taliban detainee to be released. 26 September:In his meeting with US Secretary of State John Kerry, Prime Minister Sharif indicated that while seeking a dialogue with Taliban, the government was considering a vigorous police and military action against them should the talks fail. 19 October:According to a UN report, there was strong evidence that top Pakistani military and intelligence officials approved US drone strikes on Pakistani soil during 2004 and 2008. In some cases, senior government figures gave their approval to the strikes in the country’s militancy hit tribal areas. 5 November:Pakistan successfully conducted a test-fire of short-range ballistic missile Hatf IX (Nasr). The test fire was conducted with successive launches of 4 x missiles (salvo) from a state of the art multi tube launcher. 6 November:Three anti-terror ordinances were presented in National Assembly as Intelligence agencies warned of possible terror attacks during Muharrram. The government said it has prepared a foolproof security plan to tackle the threat. 21 November:Pakistan and US held a round of strategic talks to discuss issues of mutual importance, like nuclear security, regional stability etc., at the 6th session of Strategic Stability, Non-proliferation Working Group. 9 December: Pentagon Chief Chuck Hagel held talks with Pakistan’s Prime Minister Sharif to defuse tensions over controversial US drone strikes and Islamabad’s role in Afghanistan. 1 January: Pakistan’s decision to grant India the Most Favoured Nation (MFN) status did not come into effect from the New Year. 1 January: India and Pakistan exchanged the lists containing the names of their nuclear facilities as part of Agreement on Prohibition of Attacks against Nuclear Installations and Facilities. 8 January: Two soldiers of 13-Raj Rifles were killed and two more injured when a contingent of Pakistani Army opened fire on Chhatri and Atma outposts on LoC. Sources said, the Pakistani soldiers beheaded one of the two soldiers and decamped with weapons of both the soldiers. 24 January: Pakistani-American LeT terrorist Davis Headley was sentenced to 35 years in jail, by a U.S court for the involvement in 26 November 2008 Mumbai attacks. 18 February:The Court of Arbitration at The Hague allowed India to go ahead with the construction of the Rs. 3600 crore Kishenganga hydro-electric project in North Kashmir, rejecting Pakistan’s plea that this was a violation of the 1960 Indus Waters Treaty. 13 March:Five Indian soldiers were killed on 13 March when two Pakistani militants stormed a CRPF camp near a school in Bemina in the first suicide attack in Kashmir in three years. 15 March: Parliament passed a resolution reiterating that “the entire State of Jammu and Kashmir, including the territory under illegal occupation of Pakistan, is and shall always be an integral part of India,” and Pakistan should not interfere in its internal affairs and stop supporting terrorists. It was a reply to the Pakistan’s National Assembly’s condemnation of the hanging of Parliament attack-case convict Afzal Guru. 27 May: In a bid to take forward the dialogue process, Prime Minister Manmohan Singh sent his special envoy, Satinder K Lambah, to meet Nawaz Sharif, prime minister designate of Pakistan. 29 June:Indo-Pakistani Joint Business Council was held in Islamabad with its agenda relating to grant of MFN status to India, import of petrochemicals and petroleum products, the TAPI (Turkmenistan-Afghanistan-Pakistan-India) pipeline project etc. 2 July:Foreign Minister Salman Khurshid and Pakistan’s special adviser to PM on foreign affairs Sartaz Aziz met in Brunei on the sidelines of 20th ASEANRegional Forum Meet and sought to rev up bilateral ties. 5 July:Pakistan Prime Minister Nawaz Sharif’s special envoy Shaharyar Khan called on Prime Minister Manmohan Singh and conveyed his government’s ‘sincere desire’ to move forward on improving relations with India. 27 July:Pakistan made the first move to resume the stalled dialogue process by officially proposing dates for the next round of talks. However, India held back any response until Prime Minister Nawaz Sharif took some positive step to speed up trial in Islamabad in the Mumbai 26/11 attack. 6 August:In a cross-border attack, five Indian Army personnel were killed and sixth was injured by a group which the government said comprised of “20 heavily armed terrorists along with persons dressed in Pakistan army uniforms” near the LoC. 13 August:Pakistan’s National Assembly passed a resolution accusing Indian troops of “unprovoked aggression” on the LoC and extending support to the “struggle” of the Kashmiri people. 14 August:Indian Parliament unanimously adopted a resolution in both Houses strongly condemning the Pakistan army for violating the ceasefire on the LoC and indulging in “unprovoked attack” on Indian forces that led to the death of five soldiers. 29 August:Prime Minister Manmohan Singh’s special envoy SK Lamba and his Pakistan counterpart Shahryar Khan met in Dubai in back-channel diplomacy ahead of the proposed meeting between the two prime ministers in New York on the sidelines of the United Nations General Assembly meeting. 13 September: External Affairs Minister Salman Khurshid met Sartaj Aziz, Pakistan Prime Minister’s Adviser on National Security and Foreign Affairs on the sidelines of Shanghai Cooperation Organisation meeting in Bishkek. 21 September: A Pakistani delegation arrived in New Delhi for the 109th meeting of the Permanent Indus Commission. The four-day meeting at the level of Indus Commissioners discussed Pakistan’s objections to the construction of four hydrothermal projects in Chenab basin in Jammu and Kashmir under Indus Waters Treaty of 1960. 23 September: An eight-member Pakistan judicial commission arrived in Mumbai to cross-examine four Indian witnesses in the 26/11 Mumbai terror attack case. 28 September: Prime Minister Manmohan Singh in his address at the UNGA warned Pakistan that it must stop being “the epicentre of terrorism” if it wants better ties with India. 29 September: Prime Minister Manmohan Singh met Pakistan’s Prime Minister Nawaz Sharif on the sidelines of the 68th UNGA Meet. With a spate of violent incidents along the LoC, the two PMs decided to task their respective DGMOs with setting up of mechanism to restore peace and tranquillity along the entire length of the de facto border in Jammu and Kashmir. 2 October: The Army confirmed its engagement with militants and ‘special forces’ in a fierce gunbattle in Kupwara. General Officer Commanding 15 Corps Lt. Gen. Gurmit Singh said that a group of 12 militants had tried to enter the cordoned area. According to him, the infiltration attempt started on 24 September. 10 October: Addressing the India-Pakistan Joint Business Forum at the end of two-day meeting in New Delhi, Pakistan High Commissioner Salman Bashir said the newly elected Nawaz Sharif government was fully committed to improving ties with India. 17 October: Pakistan army troops targeted civilian areas along LoC by violating ceasefire for the ninth time in the past 4 days resulting in the injuries to five people, prompting retaliation from Indian troops. 21 October: In one of the worst incidents of ceasefire violations, firing continued on 21October, fourth successive day, with as many as 25 border outposts on Indian side being targeted. 29 October:The BSF and the Pakistani Rangers held October’s first flag meeting on the International Border in Jammu. 10 November:Pakistan Prime Minister Nawaz Sharif’s adviser on National Security and Foreign Affairs Sartaj Aziz held discussions on Kashmir-related political developments with four delegations of Kashmiri secessionist leaders at the Pakistani High Commission in New Delhi. 12 November: External Affairs Minister Salman Khurshid met Pakistan’s National Security and Foreign Affairs Adviser Sartaz Aziz on the margins of the Asia-Europe Meeting in Gurgaon. Both the leaders stressed the need for DGMOs of the two countries to meet at the earliest to take forward bilateral dialogue. 12 December: Prime Minister Manmohan Singh met the visiting Pakistan Punjab Chief Minister Shahbaz Sharif and raised the issue of LoC ceasefire violations and terrorism. 22 December: India got respite as the Hague based International Court of Arbitration rejected Pakistan’s objections by upholding New Delhi’s right to divert water from the Kishenganga river for power generation in J&K. 24 December: DGMOs of India and Pakistan “reiterated the resolve and commitment’’ of both sides to continue efforts for ensuring ceasefire, peace and tranquillity on the LoC. This was the first meeting between DGMOs in 15 years. 28 December: A five- day meeting of the Pakistan Rangers and the BSF ended on 28 December with a call to maintain peace, curb smuggling and send back those who cross the border inadvertently to their respective countries. 30 April: Nepal’s Maoist leader Prachanda visited India after a gap of five years from 27-30 April. The four day visit was his third to India since his party joined the peace process in 2006, ending a decade long armed conflict. 9 June: Sher Bahadur Deuba, senior leader of Nepali Congress came to India on a five day visit from 9-14 June, where he appealed India for “good-will and logistical support” in conducting fresh Constituent Assembly (CA) elections by the end of 2013. 9 July: External Affairs Minister Salman Khurshid visited Nepal on 9 July and urged the warring political parties to reach a consensus on the proposed Constituent Assembly polls in November. 24 July: Former Nepali PM Madhav Kumar Nepal came to India on a five day visit from 24-28 July. Major issues discussed were, bilateral ties and ‘Nepal’s political transition’ – including the due Constituent Assembly elections and constitution writing process. 18 August: India created 23 new border posts and deployed additional troops along its frontiers with Nepal and Bhutan in order to effectively check entry of criminals and curb smuggling of arms. India shares 699 km open border with Bhutan and around 1,751 km with Nepal. The total troops strength at both these borders is approximately 21,500 personnel. 14 September: Indian Foreign Secretary Sujatha Singh visited Nepal on a two day trip between 13-15 September. It was her first visit which coincided with a debate among political parties on whether to hold elections in November or defer it to March-April, as demanded by Communist Party of Nepal-Maoist. 23 October: India ended an eight-year old ban on military supplies and handed over some of the equipment, including vehicles and arms, it had pledged to provide to Nepal ahead of polls to be held in November. 19 November: Elections to the second Constituent Assembly were held on 19 November. India welcomed the successful conduct of free and fair elections in Nepal describing them as an “important step towards realising Nepal’s goal of a democratic and prosperous future”. 22 December:India and Nepal on 22 December agreed to address each other’s concerns on commerce and transit including reduction of tariff barriers and checking illegal trade along porous border between the two countries. The decisions were made during the two-day Inter-Governmental Committee meeting held in Kathmandu. 28 January: The Union Home Minister Sushilkumar Shinde and his counterpart signed two pacts- the Extradition Treaty and the Revised Travel Arrangements (RTA) during his two-day visit to Bangladesh on 28-29 January. 10 February: Indian Foreign Secretary Ranjan Mathai visited Bangladesh from 9-11 February 2013 and discussed a wide range of bilateral issues with his counterpart Mr. Shahidul Haque. 15 February: External Affairs Minister Salman Khurshid visited Dhaka on 16-17 February to co-chair the second meeting of the Joint Consultative Commission along with his Bangladeshi counterpart, Dipu Moni. 5 March: President Pranab Mukherjee visited Bangladesh from 3-5 March 2013. The visit marked the culmination of a flurry of diplomatic activity, which included the signing of an extradition treaty and a liberalised visa agreement. 1 July:The sixth joint steering committee meeting for cooperating in the power sector was held on 27 June 2013. It was decided that transmission utility Power Grid Corporation of India, will complete the crucial 71-km Baharampur-Bheramara transmission link by mid-August. The project would mark the NTPC’s first joint venture abroad. 25 July: Bangladesh Foreign Minister Dipu Moni visited India from 25-28 July. No progress was made on the issues of Land Boundary Agreement and Teesta Waters during the visit. 15 September: Five-day director general level talks were held in Dhaka. A 20 member Indian delegation was led by Border Security Force (BSF) chief Subhash Joshi, while Bangladesh was represented by a 19 member team headed by Border Guard Bangladesh director-general Major General Aziz Ahmed. Issues like cross-border movement of criminals and smuggling of firearms and narcotics, including heroin and Yaba, into Bangladesh were the main agendas discussed. 5 October: The 71 km Baharamur-Bheramara transmission link between the electricity grids of India and Bangladesh was inaugurated on 5 October. The link is seen as a major milestone in strengthening the bilateral relationship and comes at a time when India is desperate to make up for its inability to deliver on two key pacts with Bangladesh- one on Teesta waters and another on the land boundary pact. 6 October: The Tripura government provided a permanent market place for Bangladeshi businessmen in Agartala, a step to further strengthen bilateral trade between the two countries. 6 October:The Border Security Force (BSF) invited its Bangladeshi counterpart to patrol the border from its territory even as it decided to introduce fresh lot of non-lethal weapons on this frontier as part of new measures to bring down civilian and security forces casualties. 6 October: Bangladesh felicitated a total of 338 foreign nationals and organizations, mostly from India, for supporting the nation’s liberation war against Pakistan. The former Prime Minister Indira Gandhi was given posthumously the highest state honour – Bangladesh Freedom Honour. V.K Krishna Menon was one of the prominent recipients of the ‘Bangladesh Liberation War Honour’ for his contribution to the country’s independence as the Defence Minister. 23 October:The extradition treaty between India and Bangladesh became effective on 23 October 2013 as the two neighbours exchanged the instruments of ratification of the treaty. With this treaty the two countries would be able to exchange convicts or under trials, sentenced for more than one year, in prison of either country. But the treaty would not be applicable to political prisoners and asylum seekers. 7 November: A 13 minute border closing retreat ceremony to ‘strengthen the friendship’ was held between BSF personnel and their counterparts BSG at Petrapole-Benapole border check post in North-24 Parganas. It has been modelled on the one at Wagah-Attari Indo-Pak border. 17 November: India opened its first Integrated Check Post (ICP) at Akhaura in Agartala. This is the first ICP India has built on its border with Bangladesh. An ICP works at Atari in Punjab on the border with Pakistan. The ICP boasts modern infrastructure to facilitate better trade and immigration. India plans to open 13 ICPs along the border with Pakistan, Bangladesh, Nepal and Myanmar. 18 November: The government on 18 December managed to introduce a constitutional amendment bill to facilitate the swap of land enclaves with Bangladesh. The bill was introduced in Rajya Sabha amid protests from the MPs. 23 January: According to a media report, Defence Minister A.K. Antony said indicated that India will continue to train Sri Lanka military personnel despite protests by few political parties but would ensure that such training is carried outside Tamil Nadu. 27 January: Former Chief Justice of India, J.S. Verma has been appointed as a head of a high-level international fact finding delegation whose mandate is to probe and prepare a report about the recent impeachment of Chief Justice Shiani Bandaranayake by the Parliament. 4 February: Sri Lanka’s President ruled out giving Tamils greater political autonomy, backing away from his long stalled promise to empower the ethnic minority as part of country’s reconciliation process following the civil war. 9 February:The Sri Lankan President Mahinda Rajapaksa visted India, on 8-9 February for pilgrimage to Buddhist and Hindu shrines. The arrival was greeted by protests from Tamils everywhere. 12 April: A five-member multiparty delegation of Members of Parliament from India visited Sri Lanka from 8-12 April 2013 to participate in the first India-Sri Lanka Parliamentary Dialogue organized by Federation of Indian Chambers of Commerce Industry (FICCI). 26 April: The 22nd International Maritime Boundary Line (IMBL) Meeting between Sri Lanka and India was held on-board an Indian naval ship at the Indo-Sri Lanka Maritime Boundary Line off Kankasanthurai in the north of Sri Lanka. 14 May: The first phase of Sri Lanka’s northern railway project, funded by a line of credit facilitated by India was commissioned. Tracks were reconstructed as part of the $800 million project, being executed by the Indian railway Ministry’s IRCON International Limited to restore the 252 km railway line that would connect different parts of the country. 9 July: Shivshankar Menon, National Security Adviser of India, visited Colombo on 8-9 July to participate in the 2nd NSA-Level Meeting on Trilateral Cooperation on Maritime Security between India, Sri Lanka and the Maldives. 7 October: External Affairs Minister Salman Khurshid visited Sri Lanka on 7-8 October. The main agenda discussed was devolution of powers to the Tamil-inhabited areas of North. 15 November: The Commonwealth Heads of Government Meeting (CHOGM) was held in Colombo, from 15 - 17 November 2013, on the theme ‘Growth with Equity: Inclusive Development’. Indian delegation was headed by External Affairs Minister Salman Khurshid as Prime Minister Manmohan Singh decided to skip the multilateral conference due to mounting pressure from Tamil Nadu. 14 January: External Affairs Minister Salman Khurshid visited Bhutan on 14-15 January. He expressed his concern regarding the strategically located Chumbi valley tri-junction which brings China close to the Siliguri corridor, a crucial link to India’s northeast. He urged the nation to settle the issue. 26 January: Bhutan’s King Jigme Khesar Namgyel Wangchuck was the Chief Guest at the 64th Republic Day celebrations becoming the third emperor from the tiny kingdom to grace the event, and signifying the importance that India attaches to its neighbour. 7 February: Prime Minister Lyonchhen Jigmi Y. Thinley visited India from 7-9 February. The visit aimed at improving India-Bhutan bilateral relationship. 6 July: India withdrew all subsidies on cooking gas and kerosene being provided to Bhutan which created huge crisis in the tiny landlocked nation thus straining bilateral ties. 4 September: Bhutan’s new Prime Minister Lyonchhen Tshering Tobgay visited India from 30 August to 4 September.The visit was in conformity with the tradition of regular exchange of visits at the highest levels between India and Bhutan. 13 February: Former Maldivian President Mohamed Nasheed on 13 February sought refuge in the Indian High Commission in Male after an arrest warrant was issued against him by a Maldivian court. 5 June: Maumoon Abdul Gayoom, former Maldives President visited India from 3-5 June 2013. 19 December: The Cabinet approved a free trade agreement (FTA) in trade and services with the ASEAN. The Agreement on Trade in Services and Agreement is to be signed under the Comprehensive Economic Cooperation (CECA) between India and the ASEAN. 21 January: External Affairs Minister Salman Khurshid met Australian Foreign Minister Bob Carr in New Delhi. India expressed its readiness to negotiate a civil nuclear agreement, but made clear its unwillingness to go beyond the formats of previous pacts signed with countries such as the U.S., Russia and France. 4 June:Defence Minister A.K. Antony met Australian Defence Minister Stephen Smith in Perth. India and Australia agreed to hold a joint naval exercise in 2015 to raise their defence cooperation initiatives to a higher level and strengthen their strategic partnership. 11 October:During Prime Minister Manmohan Singh’s visit to Indonesia,both countries identified terrorism and trafficking, food security and maritime security as areas of common concern where cooperation needs to be significantly stepped up. 9 June:Commerce and Industry Minister Anand Sharma held bilateral meetings with various Myanmar’s ministers and discussed ways to strengthen the political, economic and cultural ties between the two nations. 2 November:During General Bikram Singh’s visit to Myanmar it was decided that India would provide rocket launchers, mortars, rifles, radars, night-vision devices, Gypsies, bailey bridges etc. to the Myanmarese armed forces. 12 February:India expressed “deep concern” over the nuclear test conducted by North Korea and urged it to "refrain from such actions which adversely impact peace and stability in the region". 11 March-The Rajasthan State Industrial Development and Investment Corporation (RIICO) signed a memorandum of understanding with the South Korean Trade Promotion Agency (KOTRA) in New Delhi for setting up an exclusive Korean industrial zone at Ghilot in Neemrana. 1 July:In a bilateral meeting, Foreign Minister Salman Khurshid took up India's concerns over proliferation with North Korean Foreign Minister Pak Ui-Chun on the sidelines of the 46th ASEAN Foreign Minister’s Summit in Brunei. 4 June:Singapore has been allowed to train its forces at Indian Army establishments for an additional five years as part of an agreement signed during Defence Minister A.K. Antony's visit to Singapore. 11 December:Three more Indians were charged for alleged rioting in Singapore's worst outbreak of violence in Little India, a day after 24 of their compatriots were remanded. 12 December;Singapore said 52 Indians would be deported and it would pursue criminal charges against 28 alleged rioters. 30 May;Prime Minister Manmohan Singh and his Thai counterpart Yingluck Shinawatra expressed the hope that the 3,200-km highway linking India, Myanmar and Thailand, would be ready by 2016. 30 May:During Prime Minister’s visit, India and Thailand signed an Extradition Treaty, concluded a memorandum of understanding (MoU) to exchange intelligence related to money laundering and terrorism financing and ratified the Treaty on Transfer of Sentenced Persons,. 9 January:The visiting Deputy Prime Minister of Vietnam Vu Van Ninh said that his country was committed to avoid violence in resolving disputes on sea and have talks based on international law and the six-point principle of ASEAN. Both India and Vietnam also agreed to cooperate on national security and defence. 15 January:India and Vietnam decided to push trade and business ties and indeed the larger bilateral relationship during the visit of Vice-President Hamid Ansari. A Memorandum of Understanding (MoU) for cooperation in the field of micro, small and medium enterprises (MSMEs) was signed between the two countries on 15 January. 7 March:India and Vietnam firmed up an agreement on maritime cooperation which makes it mandatory on merchant vessels to help and protect each other's vessels in distress. The pact, which has 18 clauses, was approved by the Union Cabinet. 11 November:Vietnam requested the Indian Navy to help train Vietnamese naval personnel on Russian-built kilo-class submarines. Vietnam has already been extending special privileges to Indian naval warships to berth at their ports. 20 November:Vietnam offered India seven oil blocks in South China Sea, including three on an exclusive basis, and joint prospecting in some Central Asian countries. Following talks between Prime Minister Manmohan Singh and visiting Vietnam Communist Party general secretary Nguyen Phu Trong in New Delhi, the two sides signed eight pacts which included the ones on energy cooperation and protection of information in defence, etc. 5 May: In first ever Foreign Minister - level visit between India and Azerbaijan, both sides decidedto deepen energy and transportation links. The visit by the Foreign Minister of Azerbaijan took place against the backdrop of India’s $ 1 billion investment in the Azerbaijani hydrocarbons sector.They also agreed to work together towards re-energising the International North-South Transport Corridor (INSTC) at the next meeting of the INSTC Coordination Council. 9 January:While addressing the 10th meeting of India-Kazakhstan Inter-Governmental Commission on Trade, Economic, Scientific, Technological, Industrial and Cultural Cooperation in New Delhi, Union Petroleum and Natural Gas Minister Veerappa Moily, sought Kazakhstan’s support for state-run ONGC Videsh Limited’s (OVL’s) bid to buy 8.4 per cent ConocoPhillips stake in the Kashagan oil field. 5 March: During the External Affairs Minister Salman Khurshid’s visit to Kazakhstan, India proposed the idea of a hydrocarbon pipeline with Kazakhstan that would bring fuel through a five-nation route,which in future could be extended to Russia. 5 March:India and Kazakhstan agreed to carry forward their civil nuclear cooperation beyond 2014 — the deadline for the supply of fuel for reactors as per the present nuclear contract — with the uranium-rich nation assuring to help energy-deficient India. 25 April: External Affairs Minister Salman Khurshid met his Kazakh counterpart Erlan Idrissov on the side-lines of Istanbul Process, in a bid to integrate India into this region’s politics of oil, gas and communication links. 15 April: During Vice-President Hamid Ansari visit to Tajikistan, India and Tajikistan agreed to elevate their strategic partnership to a new level by expanding cooperation in several key areas, including Information Technology (IT), energy, health, education, trade and commerce, mining and agriculture. 17 April: During Vice-President Hamid Ansari’s visit to Tajik Technical University, India offered to gift a supercomputer to Tajikistan which would be in place over the next 18 months at a centre of IT excellence and become the seed for developing IT expertise among young people. India also proposes to set up an Enterprise Development Centre in Tajikistan which would help create entrepreneurs and job-providers as against job-seekers. 22 May: During the Vice-President’s visit to Uzbekistan, India and Uzbekistan shared the view that any outside interference in internal affairs of Afghanistan could prove to be counter-productive, in the backdrop of the proposed withdrawal of the U.S. forces. The Indian and Uzbek diplomats deliberated on the Afghanistan situation, regional peace and stability and unanimous view that emerged was to support the Afghan-led political process. The two countries also discussed the issues of counter-terrorism and i connectivity in the region. They signed a MoU for upgrading the Jawaharlal Nehru India–Uzbekistan Centre for Information Technology in Tashkent. 19 February:India, USA and Afghanistan discussed the political, security and economic transition in Afghanistan and specific cooperation projects during the trilateral meeting in New Delhi. 6 May: Union Home Secretary R K Singh, while delivering speech at a seminar organised by the National Security Guard said that India's challenge to fight terrorism would increase when the NATO and allied forces pull out from Afghanistan in 2014. 16 May: Afghan ambassador to India Shaida M Abdali made a strong pitch for "deepening" defence cooperation and urged for arms supplies to Kabul from New Delhi. 18 May:Responding to the Afghan ambassador Shaida M Abdali's comments, India said it was ready to discuss and consider Afghanistan's request for arms supplies provided it is raised through the proper fora. 20 May:President Hamid Karzai’s visited India on 20-22 May. President Karzai said: "India, as a friend of Afghanistan, has made immense contribution in uplifting its youths. India has contributed $2 billion from the hard-earned money of its tax payers for the betterment of Afghanistan." 22 May: Making a strong case for increased Indian defence assistance to Afghanistan ahead of 2014 transition, Afghan president Karzai disclosed that Afghanistan had given its wish list of defence equipment to New Delhi and was awaiting a reply. 3 July: Three Indians were killed in a Taliban suicide attack on a NATO supply company's compound in Kabul. 5 July:India turned down Afghanistan's request for supply of lethal weapons, saying it was not "either in a position or willing" to contribute lethal weapons right now, days after Afghan President Hamid Karzai raised the issue with Prime Minister Manmohan Singh. 3 August: Suicide bombers targeted the Indian consulate in the eastern Afghan city of Jalalabad, detonating a car packed with explosives and killing nine civilians, including seven children in a nearby mosque. 21 August: Afghanistan’s Vice-President Karim Khalili visited India on 20-22 August, during which President Mukherjee said India supported an all-Afghan owned, Afghan-led and Afghan-controlled reconciliation process. India was committed to assisting Afghanistan in its critical period of transition, development and nation-building. 25 August: To underline Indian concerns in Afghanistan, Foreign Secretary Sujatha Singh visited Jalalabad on 23-25 August, where militants had tried to storm the Indian consulate. The Foreign Office, detailing her three-day visit after it was over, flagged the concern over militant violence as foremost on her agenda. 13 December: During Afghan President Hamid Karzai visit, India sided with Afghanistan in its ongoing dispute with the U.S. over a security pact that would allow a smaller contingent of U.S. troops to stay back after the bulk of western forces with-draws from the country next year. 14 December: India decided to give a set of three military transport choppers to the Afghan security forces. This was conveyed to Afghanistan President Hamid Karzai as he met National Security Adviser Shivshankar Menon. 2 January: Iran's chief nuclear negotiator Saeed Jalili said economic sanctions imposed on his country was not a threat but an opportunity for countries including India. Saeed Jalili also termed the International North-South Transport Corridor as one of the most "strategic projects" for India's relations with Iran. 5 January: Iran asked India for help to procure life-saving drugs for patients battling critical illnesses as its healthcare system has been crippled by international economic sanctions. 26 February: Ali Larijani, senior Iranian leader and Speaker of the Iranian Majlis (Parliament) arrived in India on a four-day visit at a time when Tehran is making renewed efforts to connect with its neighbourhood. 8 March:The head of Mangalore Refinery and Petrochemicals Ltd (MRPL) said that India was set to halt all crude imports from Iran because insurance companies in the country have said refineries processing the oil would no longer be covered due to Western sanctions. 12 April:India would continue to buy oil from “vital supplier” Iran, notwithstanding severe economic sanctions slapped by the U.S. and the UN against Iran, Foreign Secretary Ranjan Mathai said in Berlin. 4 May:During External Affairs Minister Salman Khurshid visit to Iran, India announced its participation in the Chabahar port project. The decision to forge a trilateral partnership was announced in Tehran by External Affairs Minister Salman Khurshid. 6 June: The United States exempted India and eight other countries from financial sanctions for six months for importing oil from Iran, noting that they have significantly reduced their dependence on Iranian oil. 18 June:India declared support for Iran’s presidency of the Conference on Disarmament, the UN’s panel on nuclear disarmament. The US and Canada have boycotted the CD since Iran took over the presidency on 27 May. 4 August:Iran's new President Hassan Rouhani pledged to deepen ties with India, hours after he took the oath before world leaders, including Vice-President Hamid Ansari. 14 August: Iran clarified that it detained Indian tanker ‘MT Desh Shanti’, on 30 July, as a regional agency monitoring marine pollution raised an oil spill alarm. Iran’s Fars News Agency reported that the Bahrain-based Marine Emergency Mutual Aid Centre (MEMAC) held the ship responsible for causing oil discharge while on its way to India from Iraq. 27 August:India registered a protest with Iran for having detained an Indian ship as Foreign Secretary Sujatha Singh summoned Iranian ambassador Gholamreza Ansari. 5 September:Iran ordered the release of an Indian tanker seized by it in the Persian Gulf while carrying crude oil from Basrah in Iraq and taken to its Bandar Abbas Port 24 days ago. 13 September:The Prime Minister’s Office asked the Petroleum and Commerce Ministries to jointly work out a mechanism for increasing crude imports from Iran in rupee payment mode, in order to cut down the outgo of foreign exchange. 11 November:India went a step ahead to articulate support for Iran's right to "uranium enrichment" for peaceful use of nuclear power. This was put in a joint statement of the Russia-India-China (RIC) trilateral meeting. 25 November:Iran and India agreed on the need to keep Saudi Arabia engaged in order to remove its misgivings about Tehran’s interim understanding with the six global powers reached in Geneva. 25 November:At meetings with National Security Advisor Shiv Shankar Menon and Foreign Secretary Sujatha Singh, visiting Iranian Deputy Foreign Minister Ebrahim Rahimpour clarified his country’s position on involving India in modernisation and development of the Chabahar port. 26 November:A strategy session chaired by National Security Adviser Shivshankar Menon with senior officials from the ministries of finance, shipping and petroleum zeroed in on three sectors where India would try to do something extra for Iran. 4 December:Iran's industry minister Mohammad Reza Nematzadeh told reporters after meeting Indian commerce minister Anand Sharma on the sidelines of the WTO summit in Bali that Iran had asked India to quickly reopen banking channels if it wanted to shore up bilateral trade, especially purchase of Iranian oil. 5 December:The Iranian 28th naval fleet, comprising Alborz destroyer, Bandar Abbas auxiliary ship, Younes super-heavy submarine and a Bell 212 Twin Huey helicopter, docked at the western Indian port city of Mumbai. Iran expressed its desire of increasing military ties with India, with top officials from Tehran conveying that defence cooperation in all fields need to be pursued. 19 March:Egyptian President Mohamed Morsy visited India from 18-20 March. The two sides signed seven agreements but most of them are intended to be the building blocks for a robust relationship in future. 20 March:Seeking Indian investments in energy, biotechnology and nanotechnology and cooperation in agriculture and space, Egyptian President Mohamed Morsy pushed for an ambitious goal of doubling trade with India in the next few years from the current level of $5.4 billion. 20 March:Egyptian Defence Minister Gen Abdel Fattah al Sisi met Defence Minister AK Antony in New Delhi. India and Egypt decided to increase defence cooperation by "gradually building up" defence exchanges and interaction between the two armed forces. 29 April:Fourth meeting of Indo-Egypt Joint Defence Cooperation was held in New Delhi from 29 April to 02 May 2013. During the JDC meeting, areas to enhance bilateral defence cooperation were identified and discussed. Various activities to be undertaken to boost the defence ties were also finalised during the visit. 4 July:India called for a conciliatory dialogue process to address the delicate situation created by suspension of Egyptian constitution by the armed forces. “India urges all political forces to abjure violence, exercise restraint, respect democratic principles and the rule of law and engage in a conciliatory dialogue to address the present situation,” a spokesperson of the external affairs ministry said. 4 December:Egyptian Foreign Minister Nabil Fahmy visited India from 4-6 December. In his meeting with External Affairs Minister Salman Khurshid, both leaders discussed ways to sustain the momentum of bilateral ties. 19 June:External Affairs Minister Salman Khurshid visited Iraq from 19-20 June. The focus of the visit was on enhancing economic relations with the oil-rich country as Indian exports to Iraq are hardly within $1 billion. 23 August:Prime Minister of Iraq Nouri al-Maliki visited India from 22-25 August. India and Iraq signed four MoUs, including one on energy cooperation. Among the other MoUs was one that would allow bilateral cooperation in the development and management of water resources. 23 August:During discussions between Prime Minister Manmohan Singh and Iraqi Prime Minister, the two sides discussed joint participation in refineries, fertilizer units and steel projects. India pressed for a long-term crude oil arrangement on easier credit terms from its second largest supplier. 11 June: Israel was reported to have exported to Pakistan a range of military equipment purchased from Britain. The claim was made by the Israeli liberal newspaper Haaretz citing a report of the British Government’s Department for Business, Innovation and Skills (BIS). 12 June:The Israeli Embassy in New Delhi in its statement said, “The state of Israel strongly denies selling any military equipment to Pakistan. Israel has a long standing strategic relationship with India, a democracy that understands what it means to fight terror and a country we see as a strategic anchor in global affairs”. 12 November:Israeli chief of land forces Maj-Gen Guy Zur held talks with Defence Minister A.K. Antony, Army Chief General Bikram Singh, Navy Chief Admiral D K Joshi and IAF Chief Air chief marshal N A K Browne, to discuss measures to bolster bilateral defence cooperation. 29 March:Union minister of State for External Affairs E. Ahamed met Saudi deputy foreign minister Prince Abdul Aziz Bin Abdulla Bin Abdul Aziz Al Saud on the sidelines of the 11th Asia Cooperation Dialogue in Dushanbe regarding the anxieties about possible job loss for Indian workers in Saudi Arabia due to the new labour policy, Nitaqat. 27 April:India-Saudi Arabia joint working group was formed during a high-level delegation meet in Riyadh. The group would work toward minimising the fallout of the Kingdom’s Nitaqat policy on Indians. 25 May:External Affairs Minister Salman Khurshid visited Saudi Arabia from 24-27 May. During his talks with Saudi Foreign Minister, Saud Al Faisal, Saudi Arabia assured India that it would continue to encourage regulated flow of foreign workers, within the framework of its labour reforms. 19 February:Commerce and Industry Minister Anand Sharma said the United Arab Emirates had conveyed to India its decision to make an investment of $2 billion in infrastructure projects. 6 March:Syrian President Bashar al Assad’s special envoy Bouthaina Shaaban briefed External Affairs Minister Salman Khurshid and top Indian officials about the situation in Syria. 15 May:India abstained from voting on the Arab-backed, US supported resolution on Syria in the UN General Assembly, which called for a political transition. 29 October:India’s National Security Advisor suggested that India's Petronet LNG Ltd (PLL) negotiate a long-term price for an extra 3 million tonnes of LNG from Qatar's Ras Laffan Liquefied Natural Gas Co (RasGas) to "match the concessions" from the increase in seats for Qatar Airways. 8 November:Kuwaiti Prime Minister Sheikh Jaber Al-Mubarak Al-Hamad Al-Sabah visited India from 7-10 November. India and Kuwait held talks in the areas of investment, trade, and security, and of joint ventures in the energy sector, to take their relationship beyond the present buyer-seller partnership. 3 January: Mauritian President Rajkeswur Purryag visited India from 3-10 January 2013. He was the Chief Guest at the 11th Pravasi Bhartiya Divas Convention in Kochi, where the Pravasi Bharatiya Samman was conferred on him. 9 January: Commerce and Industry Minister Anand Sharmamet the MauritiusPrime Minister Navinchandra Ramgoolam and raised the need for deepening and diversifying trade and investment ties between the two countries. 29 January: India promised to be part of the Support and Follow-Up Group (SFG) for Mali at African Union Conference on Mali. India committed to give$1 million for the upgrade of the Malian army with a pledge to ramp up contribution for reconstruction to $100 million after the situation stabilizes. 31 January: India handed over a Dornier-228 maritime reconnaissance aircraft to Seychelles to help the country keep its exclusive economic zone (EEZ) under better surveillance as well as guard against terrorism and piracy. 12 March: President Pranab Mukherjee visited Mauritius from 11-13 March. President Pranab Mukherjee and Prime Minister Navin Ramgoolam of Mauritius, in a statement issued at the end of their meeting, said that the two countries were working out the finer details of the bilateral double taxation avoidance convention between India and Mauritius. 12 March: A Memorandum of Understanding was signed between the Union Ministry of Social Justice and Empowerment, and the Ministry of Social Security, National Solidarity and Reforms Institutions of Mauritius for exchange of resource persons in areas of mutual interest. A separate MoU on cooperation in health and medicine was also signed. A third MoU was signed for expansion of bilateral cooperation in tourism, encouraging cooperation between stakeholders etc. 25 March: French Forces shot dead two Indian nationals in the Central African Republic. According to reports, French troops, trying to protect their country’s interests after the fleeing of CAR President Francois Bozize, fired at the vehicles killing the two Indians. 4 April: Ministry of External Affairs organised India-Africa collaborative workshop, 'India-Africa: A shared Future',on 4-5 April in which 72 students debated and pitched their views on challenges and opportunities in areas like energy, environment, healthcare, education, etc.in their respective regions at the Young India Fellowship Campus in New Delhi. 9 April: Five Indian Army personnel, including a lieutenant colonel, serving on a UN peacekeeping mission in South Sudan were killed when armed rebels launched an audacious attack on a convoy they were escorting. 15 April:The Minister of State for External Affairs E. Ahamed met Libyan President of General National Congress Dr. Mohammad Yousef Al-Magarief and Prime Minsiter Dr. Ali Zeidan. Both the leaders welcomed return of Indian companies and Indians to Libya to partake in the reconstruction and development of new Libya. 25 May: In his address to the African Union Summit, on its 50th Anniversary in Addis Ababa, Vice President Hamid Ansari said "India's partnership with Africa is anchored in the fundamental principles of equality, mutual respect and mutual benefit that should serve to redefine the contours of the international order on more egalitarian lines". 12 July:The Indian Navy handed over the military equipment to the National Coast Guard of Mauritius in Port Louis. In addition to providing aircraft and aircraft spares, the Indo-Mauritian defence relationship includes co-operation in hydrography, supply of patrol vessels and provision of training to Mauritian personnel. 26 August: South Sudanese President Salva Kiir Mayardit called off his visit to India throwing off track New Delhi's plans to engage the new oil powerhouse of Africa and world's youngest nation. 11 September: India and Liberia decided to enhance cooperation in energy with New Delhi extending US$144 million Line of Credit to the African country to fund a power transmission and distribution project besides signing an MoU on oil and gas during the visit of President Ellen Johnson Sirleaf. 21 September: Two Indians were confirmed killed and several injured in the attack on the Westgate Shopping Centre by Al-Qaeda affiliated group, Al-Shabab, in Nairobi. 30 September: Seeking to consolidate the relationship between India and the African nations and also work out a plan for currency stabilisation, India and Africa decided to set a target of $200 billion bilateral trade by 2020 during the 3rd India-Africa trade Ministers and 2nd India-Africa Business Council Meet in Johannesburg. 20 October: A violent attack on a tea plantation leased by Indian-owned Verdanta Harvest Plc, a subsidiary of the Noida-based Lucky Group, renewed concerns over Ethiopia’s policy of leasing out large tracts of land to international investors. 19 December:Two Indian peacekeepers were killed when about 2,000 rebels ransacked their temporary base in South Sudan’s Jonglei state. 24 September:India was likely to engage with Venezuela to seek more crude oil as well as gas assets to take the relationship to a new level, Petroleum and Natural Gas Minister Veerappa Moily said in New Delhi. 25 September:The External Affairs Minister Salman Khurshid met Foreign Ministers of Brazil and South Africa in New York for the IBSA Meet on the sidelines of 68th Session of United nations General Assembly. 26 September: The External Affairs Minister Salman Khurshid met Foreign Ministers of Brazil, Germany and Japan in New York on the sidelines of 68th Session of United nations General Assembly for the G4 meet to exchange views on Security Council reforms. 9 October: Nine MoUs were signed after the successful completion of the 1st Business Round Table Venezuela-India: Identification and Development of Opportunities discussions in Caracas. 14 October: The sixth meeting of the India-Brazil Joint Commission was held in Sao Paulo from 14-17 October and was chaired by External Affairs Minister Salman Khurshid and Brazilian Foreign Minister Luiz Alberto Figueiredo Machado. 16 October: External Affairs Minister Salman Khurshid said the mass surveillance by the U.S. National Security Agency (NSA) was an “area of concern for all democracies” and India was working with Brazil and other countries in efforts to find platforms for global governance of the cyber space. 29 October:Vice President Hamid Ansari visited Cuba on 29-30 October. Miguel Diaz-Canel Bermudaz, First Vice President, and Vice President Ansari reviewed the entire gamut of bilateral relations. 30 October: Vice President Hamid Ansari met former Cuban President Fidel Castro. Mr. Castro took the opportunity to express concern at the large arsenal of nuclear weapons in the world. 20 December: The 2nd India-Venezuela Joint Commission Meeting (JCM) was held in New Delhi on 20-21 December. The entire gamut of bilateral relations including cooperation in sectors such as economic, commercial, agriculture, IT, energy, science and technology, space, health, culture and consular were discussed. 16 February: During the 14th BASIC (Brazil, South Africa, India and China) Ministerial meeting on Climate Change, the Ministerial delegations expressed disappointment on the lack of commitment to speed up the process of creating provision of finances for a fund to mitigate effects of climate change. 3 June:Senior diplomats from 67 European, Latin American, Asian, and African states signed the Arms Trade Treaty (ATT) at the UN. The ATT is the first global treaty to establish common international standards that must be met before states may authorise transfers of conventional weapons or may export ammunition and weapons parts and components. 7 June: A group of governmental experts from 14 countries, including the United States, Russia, and China, produced a ‘landmark consensus’ report affirming ‘that international law, especially the UN Charter, applies to cyberspace’. 17 October: The UNGA elected five new non-permanent members of the UNSC to two-year terms commencing on 1 January 2014. The five selected countries were Chad, Chile, Lithuania, Nigeria and Saudi Arabia. 18 October: Saudi Arabia refused to take the seat over the UN’s failure to act on the crisis in Syria. The Saudi official stated that ‘the Kingdom simply has no faith in Security Council as an arbiter of world affairs’, adding that ‘the veto system effectively makes it redundant’. Jordan was elected as new-non-permanent member in its place. 7 December: Members of the WTO concluded a ‘historic’ global trade deal during the 4-day ministerial conference in Bali, making it to be the first global agreement struck by the organisation since its founding in 1995. All the members signed the trade facilitation agreement known as ‘Bali package’. The agreement included provisions for lowering import tariffs, reducing red tape, and setting common customs standards facilitating trade through borders around the world. 17 December: The UNSC unanimously approved Resolution 2129(2013) concerning threats to international security and peace caused by terrorist acts. The resolution expressed the UN’s determination to enhance efforts to fight terrorism in all forms and ‘ensure that counter-terrorism remains a priority on the international agenda’.